Smith, M., & Stein, M. K. (2018). Five practices for orchestrating productive mathematics discussions. (Second Edition). Thousand Oaks, CA: Corwin Press. Correnti, R., Thomas, A., Baeksan, Y., Russell, J., Booker, L., Schwartz, N., & Stein, M. K. (2017). Prospective Matching Methods in Education Research: Recruiting an Active Comparison Sample for Causal Inference, Proceedings of the SREE 2017 Conference. Tekkumru-Kisa, M., & Stein, M. K. (2017). A framework for planning and facilitating video-based professional development. International Journal of STEM Education, 4(28). Schuchardt, A. M., Tekkumru-Kisa, M., Schunn,C. D., Stein, M. K., Reynolds, B. (2017). How much professional development is needed with educative curriculum materials? It depends upon the intended student learning outcomes. Science Education. Stein, M. K., Correnti, R., Moore, D., Russell, J. L., Kelly, K. (2017). Using theory and measurement to sharpen conceptualizations of mathematics teaching in the Common Core era. AERA Open, 3(1). Kisa-Tekkumru, M. Schunn, C., Stein, M. K., & Reynolds, B. (2017). Change in thinking demands for students across the phases of a science task: An exploratory study. Research in Science Education. Bill, V., Booker, L., Correnti, R., Russell, J., Schwartz, N., & Stein, M.K. (2017). Tennessee scales up improved math instruction through coaching. The Journal of the National Association of State Boards of Education, 17(2), 22-27. Stein, M.K., Crowley, K., & Resnick, L.B. (2016). Education policy and the learning sciences: The case for a new alliance. In M. Evans, M. Packer, & K. Sawyer (Eds. ), Reflections on the Learning Sciences. Cambridge: Cambridge University Press. Kaufman, J., Stein, M.K., & Junker, B. (2016). Factors associated with alignment between teacher survey reports and classroom observation ratings of mathematics instruction. Elementary School Journal, 116(3), 339-364. Russell, J. L., Meredith, J., Childs, J., Stein, M. K., & Prine, D. W. (2015). Designing inter-organizational networks to implement education reform: An analysis of state Race to the Top applications. Educational Evaluation and Policy Analysis, 37(1), 92-112. Tekkumru-Kisa, M., Stein, M. K., & Schunn, C. (2015). A framework for analyzing cognitive demand and content-practices integration: Task analysis guide in science. Journal of Research in Science Teaching, 52(5), 659-685. Munter, C., Stein, M. K., & Smith, M. S. (2015). Dialogic and direct instruction: Two distinct models of mathematics instruction and the debate(s) surrounding them. Teachers College Record, 117(11), 1-32. Tekkumru Kisa, M., & Stein, M. K. (2015). Teachers’ learning to see STEM instruction in new ways: A foundation for maintaining cognitive demand. American Educational Research Journal, 52(1), 105-136. Munter, C., Stein, M. K., & Smith, M. S. (2015). Is there a common pedagogical core? : Examining instructional practices of competing models of mathematics teaching. NCSM Journal of Mathematics Education Leadership, 16(2), 3-13. Russell, J. L., Meredith, J., Childs, J., Stein, M. K., & Prine, D. W. (2015). Implementing education policy through organizational networks: An analysis of state Race to the Top applications. Educational Evaluation and Policy Analysis, 37(1), 92-112. Iriti, J., Bickel, B., Schunn, C., & Stein, M.K. (2015). Load-bearing conditions for educational technology innovations. Educational Technology Research and Development, 63(5). Kessler, A. M., Stein, M. K., & Schunn, C. D. (2015). Cognitive demand of model tracing tutor tasks: Conceptualizing and predicting how deeply students engage. Technology, Knowledge and Learning. Cartier, J.L., Smith, M.S., Stein, M.K., & Ross, D. (2013). Five Practices for Orchestrating Task-Based Discussions in Science. Reston, VA: National Council of Teachers of Mathematics. Coburn, C. E., Russell, J., Kaufman, K., & Stein, M. K. (2013). How teacher social capital shapes instruction. Learning and Instruction. Scherrer, J. & Stein, M.K. (2013). Effects of a coding intervention on what teachers learn to notice during whole-group discussion. Journal of Mathematics Teacher Education. 16(2), 105-124. Coburn, C.E., Russell, J., Kaufman, K., & Stein, M.K. (2012). Supporting sustainability: Teachers’ advice networks and ambitious instructional reform. American Journal of Education, 119(1), 137-182. Stein, M. K., Kaufman, J., & Tekkumru-Kisa, M. (2011). Curriculum as a lever for teacher improvement. In Proceedings of the 35th Conference of the International Group for the Psychology of Mathematics Education, Vol. 1. Ankara, Turkey, PME. Stein, M.K., Kaufman, J., Sherman, M., & Hillen, A. (2011). Algebra: A challenge at the crossroads of policy and practice. Review of Educational Research, 81(4), 453-492. TMC News featured an article on Mary Kay Stein and LRDC colleagues for being among the recipients of the James S. McDonnell Foundation's new program in educational research, which has awarded $24.5 million for studies of Teachers as Learners. The International Journal of STEM Education published a special edition edited by Mary Kay Stein and her previous graduate student Miray Tekkumru-Kisa. The issue is about the design and facilitation of video-based professional development in science and mathematics. 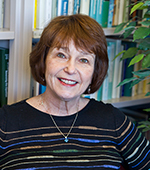 Mary Kay Stein is featured in the March 20, 2014, University Times for her nomination as an American Educational Research Association (AERA) fellow. Associate Director Mary Kay Stein has been named a Fellow of the American Education Research Association (AERA).